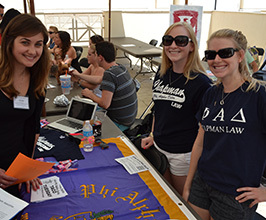 Chapman University School of Law boasts an impressive array of student activities that offer the best combination of camaraderie and legal exploration. 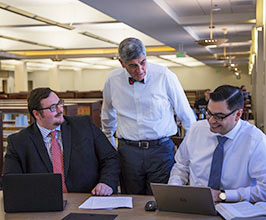 Fowler School of Law offers a unique in-house bar preparation program to complement traditional doctrinal law school coursework, with a goal of fully and adequately preparing students for the California and out-of-state bar examinations. 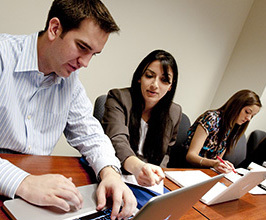 Chapman Law's Academic Achievement Program is designed to minimize the confusion and frustration many first-year law students experience by offering mentoring, workshops and study groups. 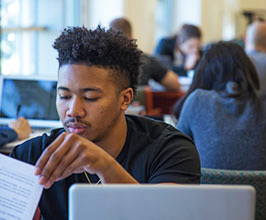 Learn about our Law Library facilities and services, including interlibrary loans, study room requests and research assistance. 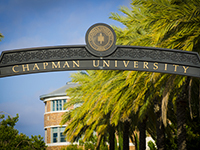 If you're a new student or a familiar Chapman face, please utilize the numerous resources below to help make your law school experience productive and organized. 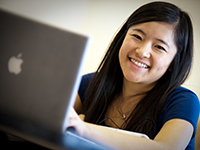 The following will help you find out about various student services, academic resources, policies and forms.